One of the problems with leveling a character is the fact that the gear never seems to be good enough. This is no longer a problem with the dungeon finder because players will have access to much better quality gear. The gear that drops off of the bosses inside the dungeons will really help you level faster because you won’t die as much. Your character will be more powerful, even in those early levels. Dungeon leveling will earn you a lot of experience in a shorter amount of time than solo questing, and there are several reasons for this. First, there are many more creatures packed into a much smaller area, which means you will be killing more creatures in a shorter amount of time. You won’t have as far to travel between creatures, so you’ll also have less down time and spend more time actually killing creatures. The fact that you are in a five-person group instead of questing out on your own means you can take on four or five creatures at the same time. You will get experience for every creature your party kills, even if you didn’t actually damage it directly. 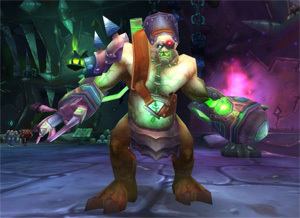 There are also two important factors that WoW players should remember when it comes to earning experience by dungeon leveling. The first is BOA, or bind-on-account gear. These items are available for purchase from the Heirloom vendor in Dalaran. Only players who already have a level 85 character will be able to purchase the Heirloom gear, but wearing all three pieces of it while leveling will grant you an extra 30 percent experience gained for all monsters killed and quests completed. This gear really cuts down the amount of time you spend leveling, and it’s especially effective when you’re dungeon leveling because those lower levels will just fly on by.